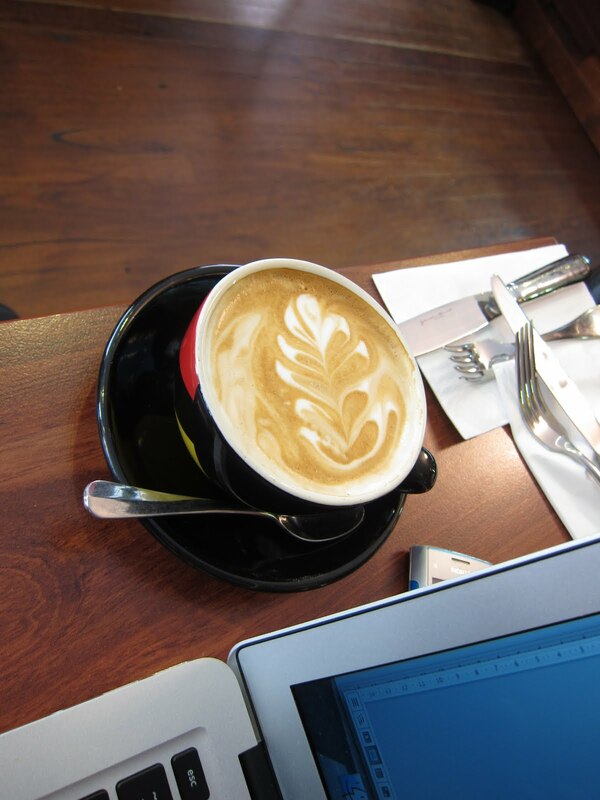 to check out the cool looking wine bar/ coffee house, Bona Fibe Café on Druitt Street. 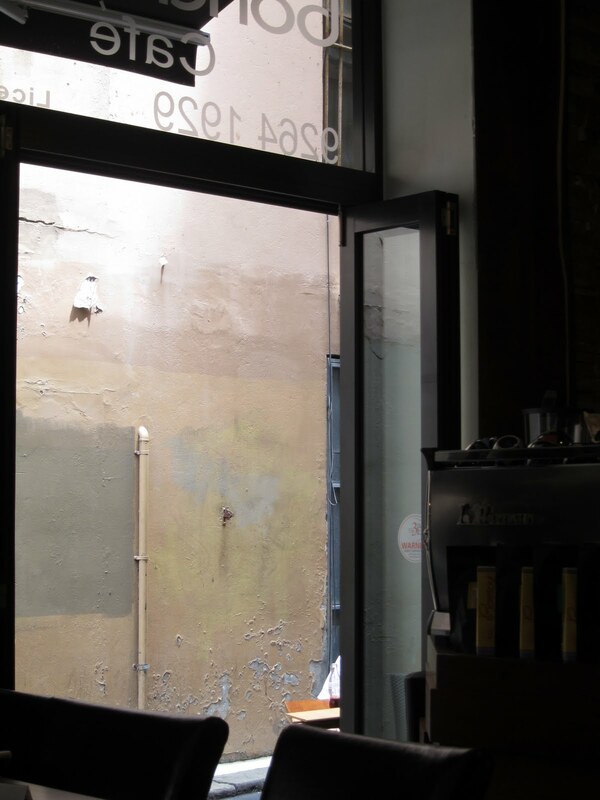 Oh so cool, the café has prime alleyway action and makes use of this location well, opening it self up to the streets of the city, with outside tables and large windows, which show off the best of the alleyway action. With the best of the 80s playing (sounds like the sound track of GTA3, which is great), it’s an easy place to stop and I was thoroughly impressed within 3min of arriving. I sat down at a seat set up for lunch, (but they did not seem to mind) and order a flat white. The girl looks a little confused, but then walks off with confidence, so I can only assume I’ve done wrong (wrong table to sit at, but was forgiven quickly). The coffee took some time to arrive, but nothing crazy, and was produced in a colourful, black, red and yellow cup (on closer inspection it’s a di Stefano cup). It looked fun, with some rich browns mixed into the art on the top of the drink. It was also proportioned well with some nice art happening on top. The aroma of the coffee was that of a dark chocolate (maybe a hint of citrus? ), although don’t bank on smelling much as it was not very strong or dominating smell. Upon tasting it I got a complex range of tastes from a slight dry cocoa (sweet), to a more sour and pounced fruity citrus taste. While this could have gone really well for a medium coffee, to put it in a cricket terms, was really nice, but simply did not follow through leaving me a little disappointed after every sip. Overall I have to say I was a little disappointed with the café. It’s a cool place, and has a great feeling to it and location amazing. But the coffee was just not what I was hoping for (not to mention it cost $4.20, which is a little pricy!). It’s a great place to chill and feel Melbourne like (glass of red would have gone down better here I think), but as this is a coffee blog I have to be a little harsh on it. Simply put the bean did not win me over. Style (what’s it feel like): Oh so cool inner city lane way café.